Kelvin Pedrosa has had an interest in plants and agriculture since he was a child. He grew up farming with his family in Puerto Rico where the farm fed his family and the neighborhood. From 2003-2006 he worked with Nuestras Raices Youth Leadership program in Holyoke, MA. Nuestras Raices is a grassroots organization that promotes economic, human and community development. At Nuestras Raices Kelvin was trained in organic vegetable production and marketing, nutrition and health outreach and he did outreach work with community and school gardening programs. 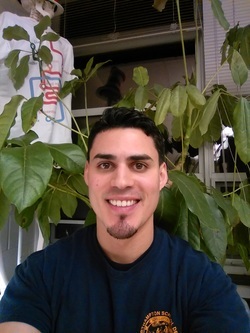 He is currently studying environmental science at Holyoke Community College. Kelvin is a natural entrepreneur and sales person. He is currently working on his own seedling production enterprise.